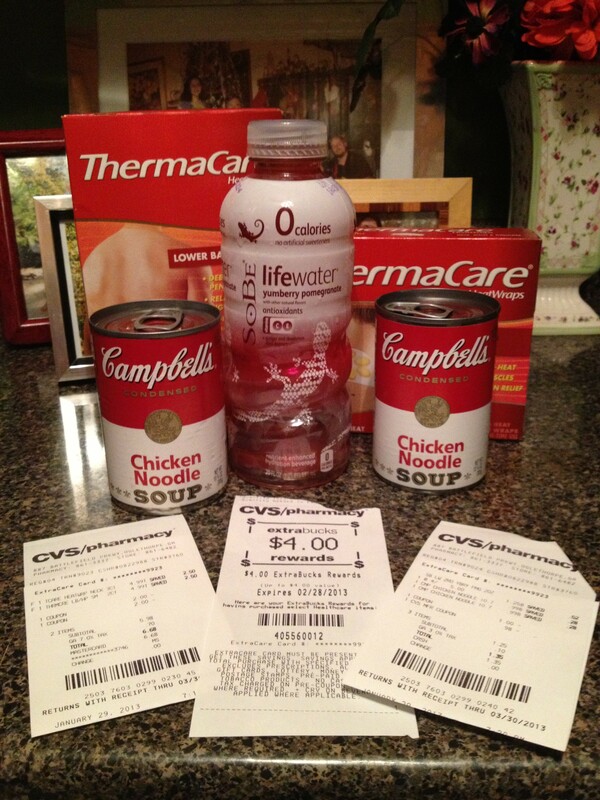 After scoring a few good deals at WalMart and Dollar Tree, I headed to CVS to make sure I took advantage of the ThermaCare deal and the Campbell's soup daily deal. While I was there I made sure to scan my card and got a few extra coupons - one I used tonight. After scoring a few good deals at WalMart and Dollar Tree, I headed to CVS to make sure I took advantage of the ThermaCare deal and the Campbell’s soup daily deal. While I was there I made sure to scan my card and got a few extra coupons – one I used tonight. Not too bad! And I have $4 ECB’s left to use on my next trip.